Next time you’re in Nepal, you might notice something special about the trucks plying the country’s roads. 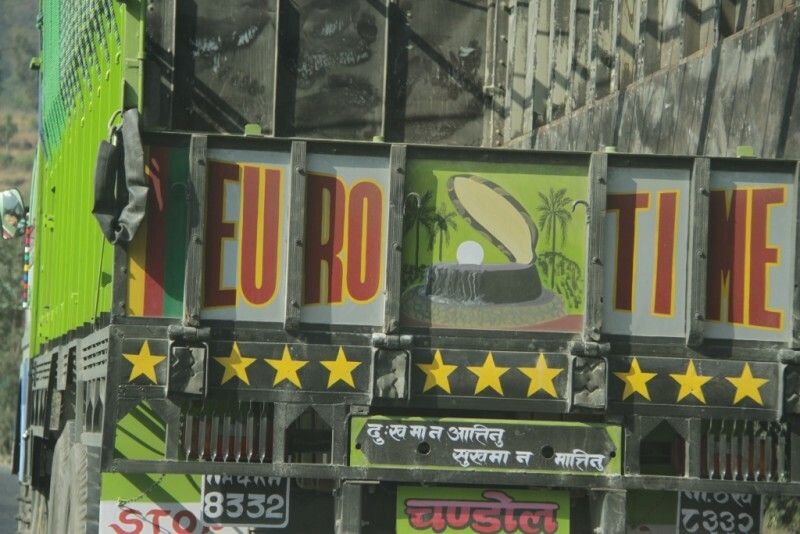 Unlike in Pakistan, where trucks are often decorated with colourful art, Nepalese trucks carry quirky, witty verses and contextual satire. The messages range from politics and philosophy to love, humour and even expletives. These days, they aren’t limited to trucks, but show up on public buses and safa tempos (battery-powered tuk-tuk) too. If you can’t win a girl, make her [your] sister. Don’t spend honour for money. A driver’s life, steering and brake. If you are contemplating a long drive on a Nepalese highway, these short messages are sure to break the monotony of your journey and bring a smile to your lips. Originally published on Global Voices.